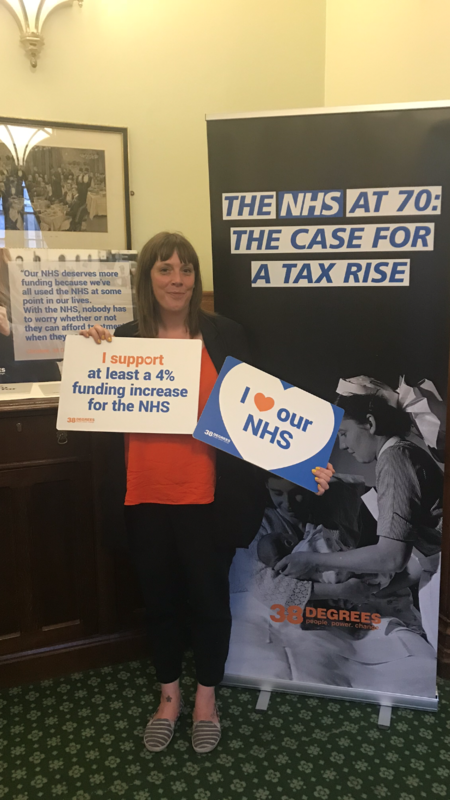 Yardley MP Jess Phillips attended 38 Degrees reception where they presented a detail plan to fund the NHS. In the last few years, public concern has grown over the NHS. Jess recently received emails from numerous constituents urging her to support an increase of at least 4% to NHS funding. Research carried out by 38 Degrees demonstrates that there is widespread support for a small, fair tax rise as a solution to the NHS funding crisis. Their research found that two-thirds of the public back a 1% tax rise.